Lemon Poppy Kitchen isn’t exactly a secret—it’s actually a bustling neighborhood favorite in Glassell Park—but it is hidden from those not in the know. The unassuming strip-mall spot is still labeled with a “Bakery #1” sign left over from a previous tenant, and it’s never really garnered the kind of media hoopla that it would were it located in, say, Silver Lake or Santa Monica. There is truth behind that sign, though, because Lemon Poppy has been turning out some of the most delectable baked goods in L.A. since it opened three years ago (they’re celebrating their anniversary next month and have plans to expand this year). 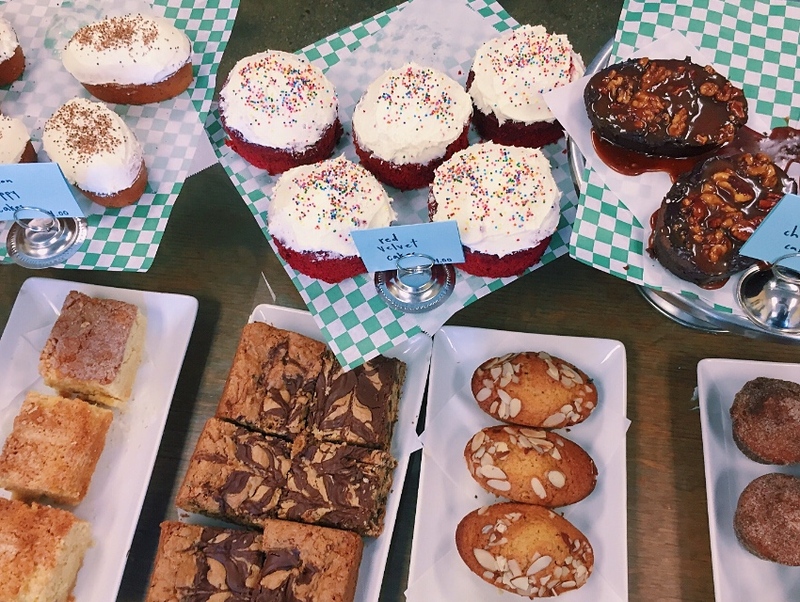 In the beginning, co-owners Katie Kildow and Anca Caliman were the primary bakers, and as Caliman says, they were offering baked goods as a complement to their coffee bar menu. 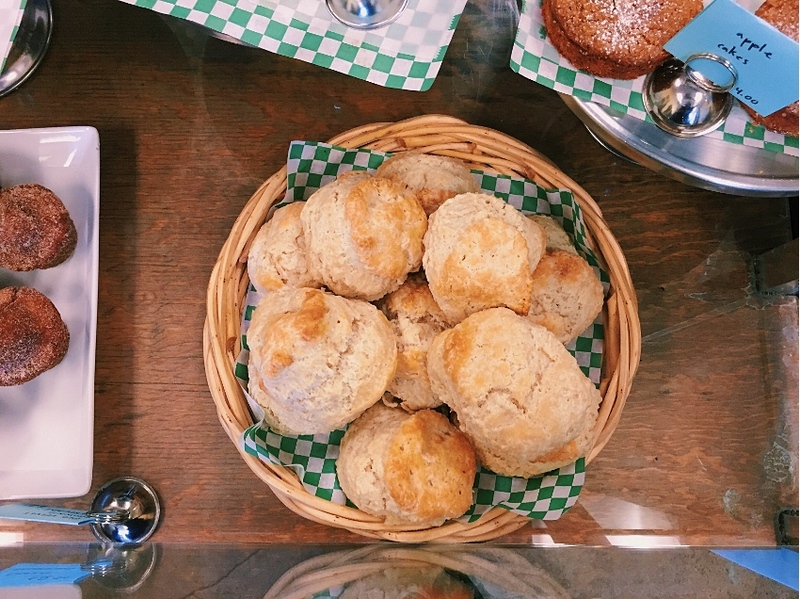 As the restaurant has evolved, the pastry program has become more of a focus, and these days, Aracelly Flores is the woman responsible for homey cakes, buttery biscuits, muffins, and scones that fill the pastry case. Learning Lemon Poppy’s repertoire was a little tricky for Flores at first because, though she’s an accomplished home cook, she wasn’t used to the exactness that baking requires; in her own kitchen, she doesn’t use measuring cups and tablespoons. The language barrier also complicated the learning process. “I don’t speak English well, but I understand little by little,” she says. 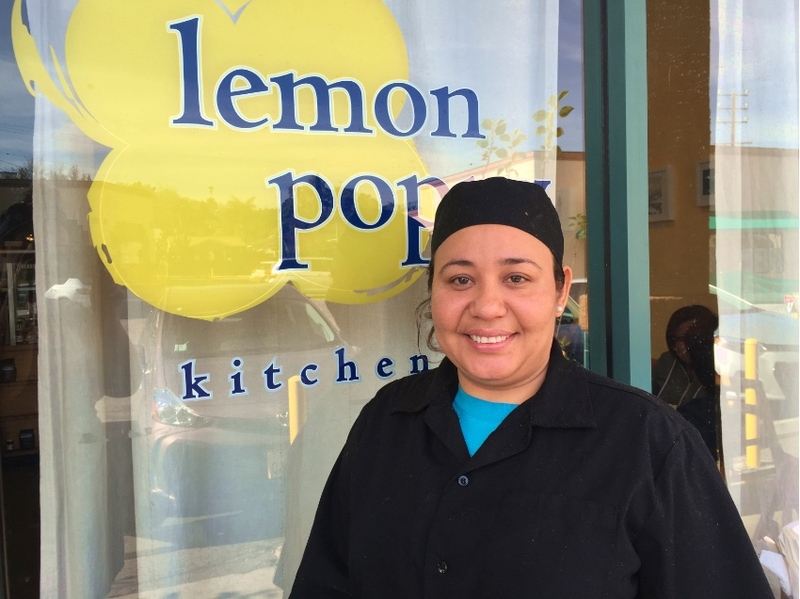 Now that she’s perfected her technique, Flores says she enjoys preparing Lemon Poppy’s biscuits the most because they’re so popular. “People love them,” says Flores. She’s also known for making a mean planchinta, a duty she shares with fellow employee Erika Corona. Flores says the Romanian flatbread reminds her of a quesadilla while the ricotta coffee cake is a lot like a torta, a sweet bread dessert from Nicaragua, where she emigrated from 10 years ago. Flores’ own family recipes, including empanadas and rollitos, also show up as specials at Lemon Poppy, and she was happy to introduce customers to picos, a triangular stuffed pastry. “It’s a special dough, like sourdough, and we use cotija cheese and cinnamon. I started doing them, and I made different flavors, like apple and strawberry. It was popular,” she says.